This is a collection of 8" hexagonal cement tiles, using colors from the South Beach Palette. 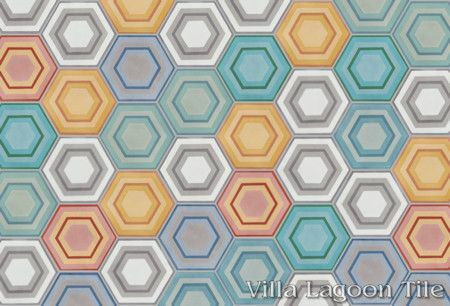 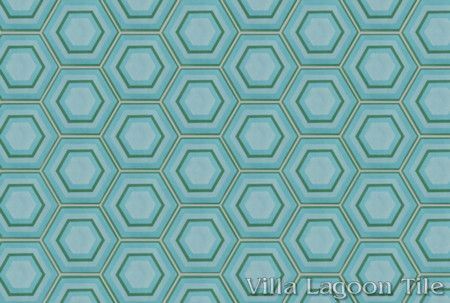 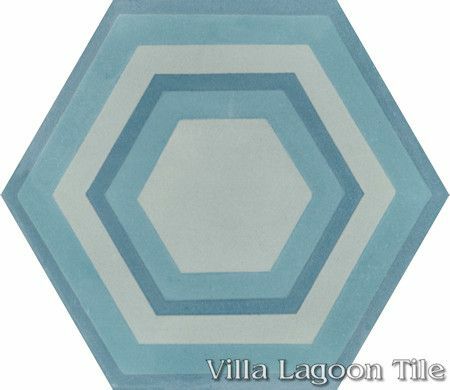 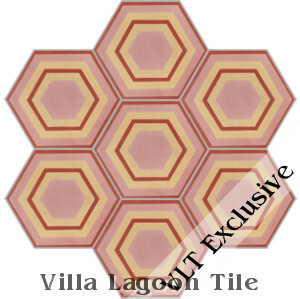 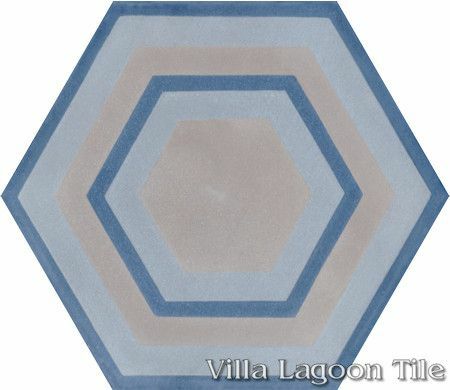 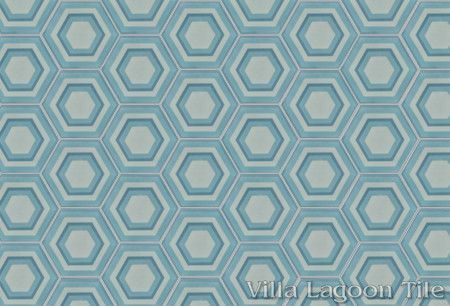 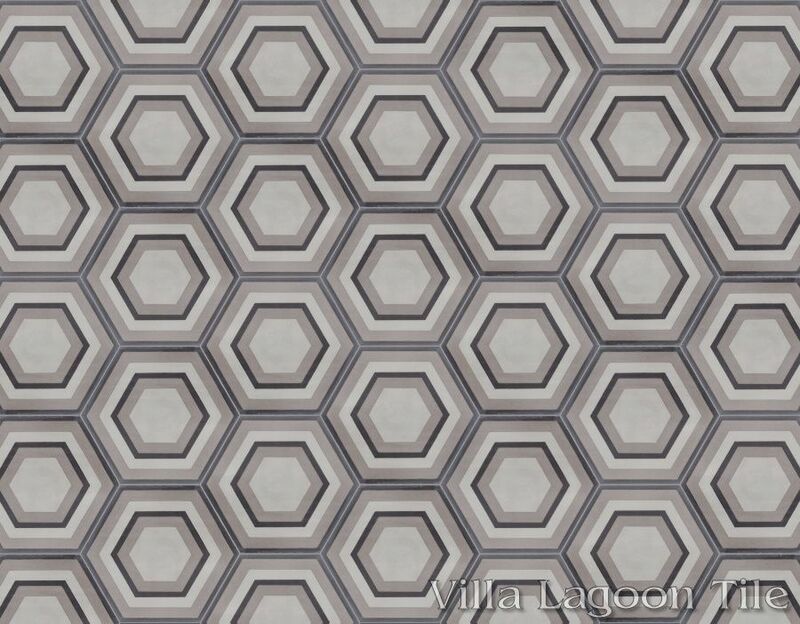 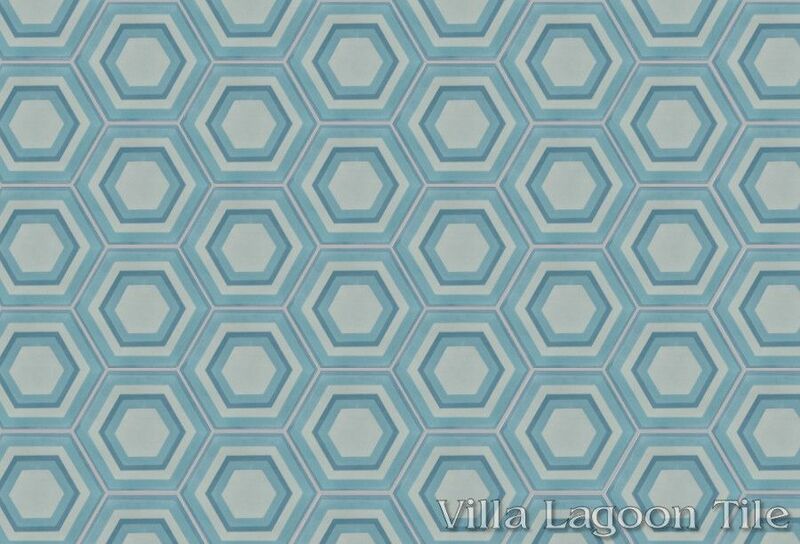 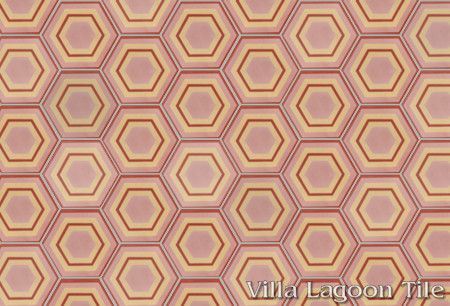 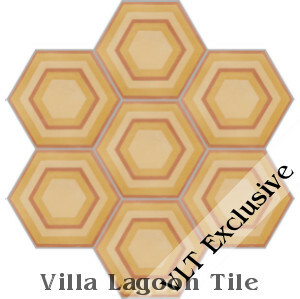 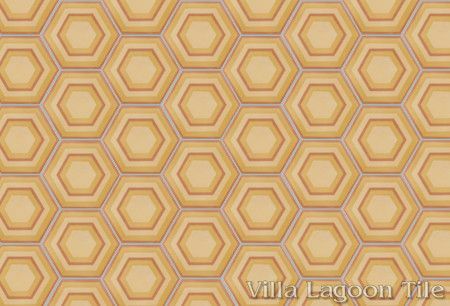 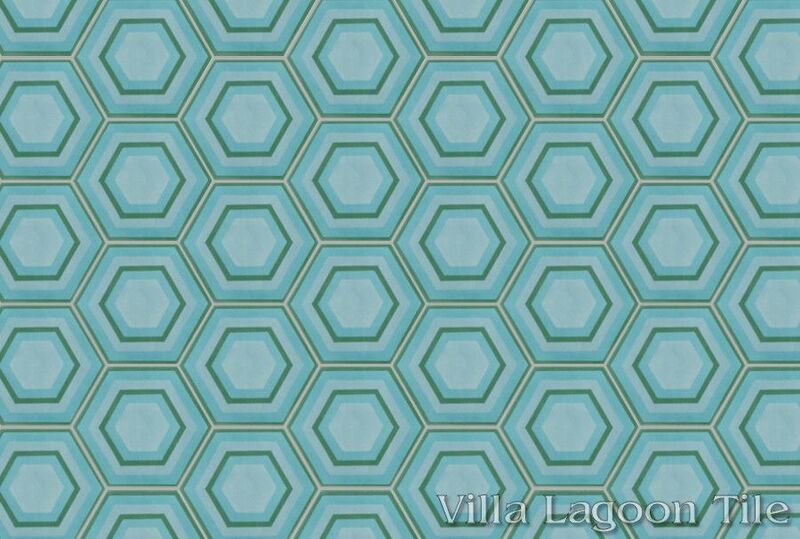 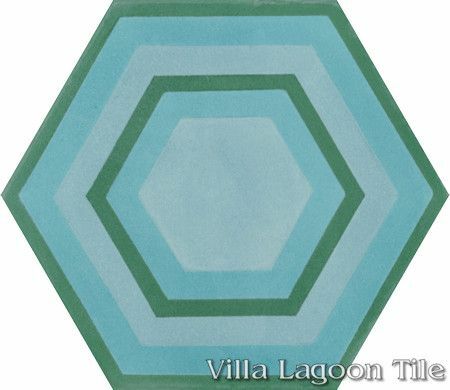 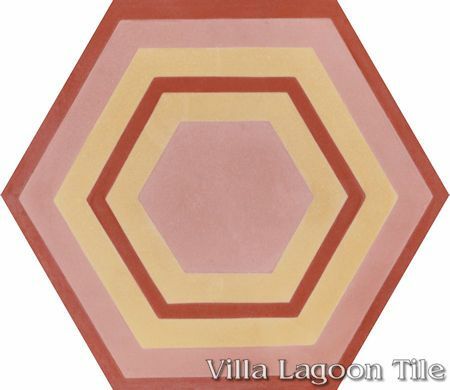 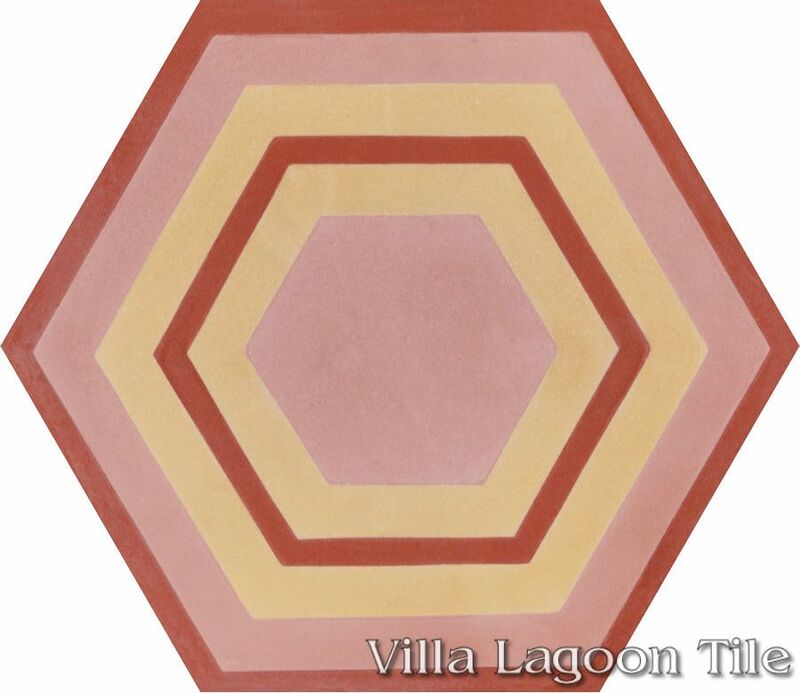 This exclusive Villa Lagoon Tile geometric design reinforces the hexagonal shape with concentric hexagonal rings. Our original colorways in gray were so popular, we began experimenting, and added several more. 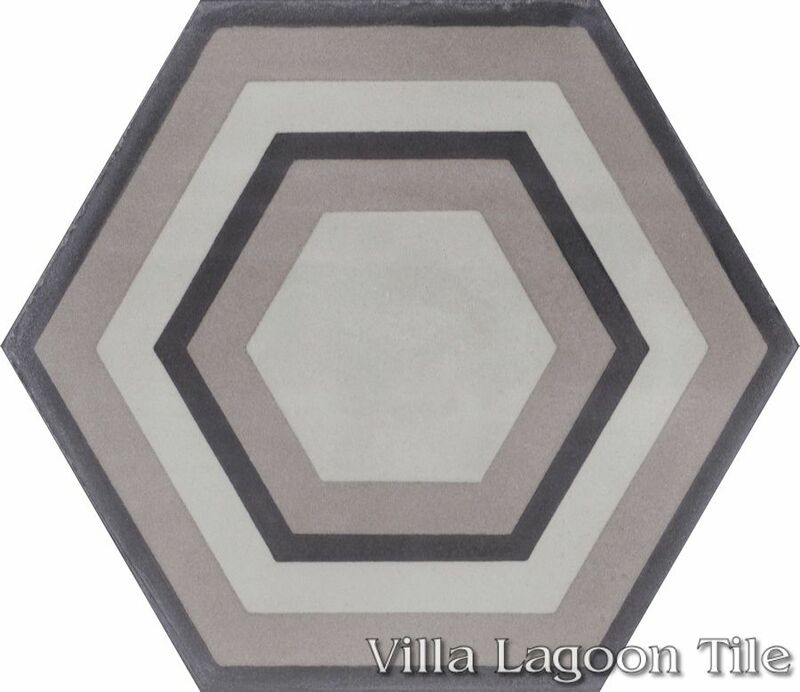 Choose one, or mix several for a really striking look. 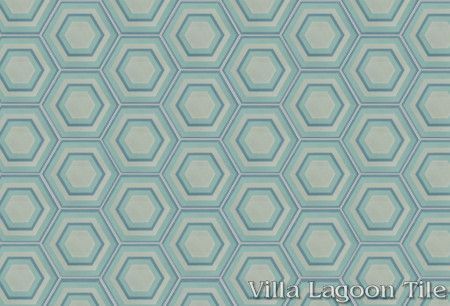 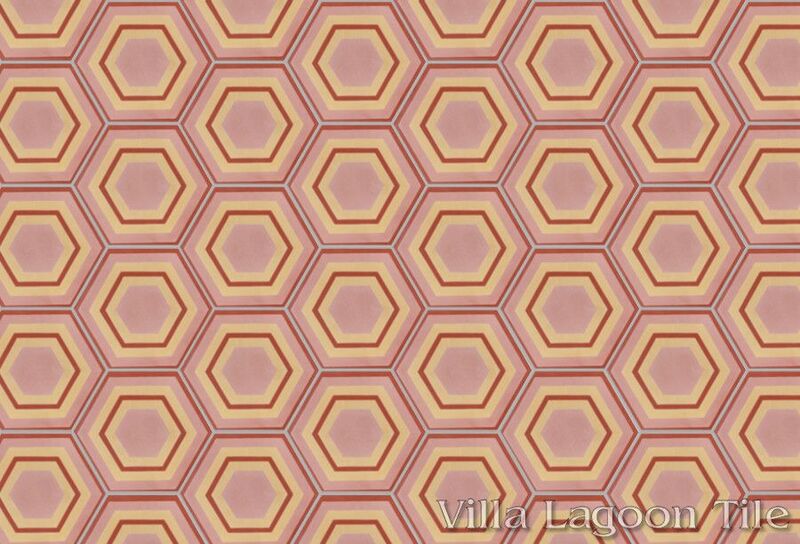 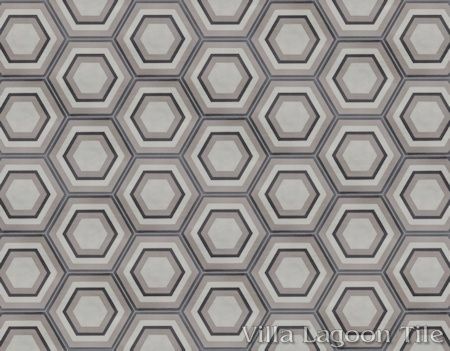 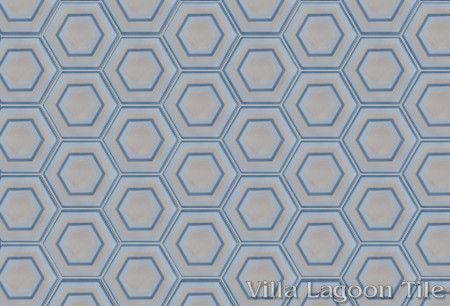 Villa Lagoon Tile's "Concentric Hex" pattern using Putty, Featherstone, and Excalibur from the South Beach Palette. Villa Lagoon Tile's "Concentric Hex" pattern using Smoke Blue, Velvet Sky, and Malibu Blue from the South Beach Palette. 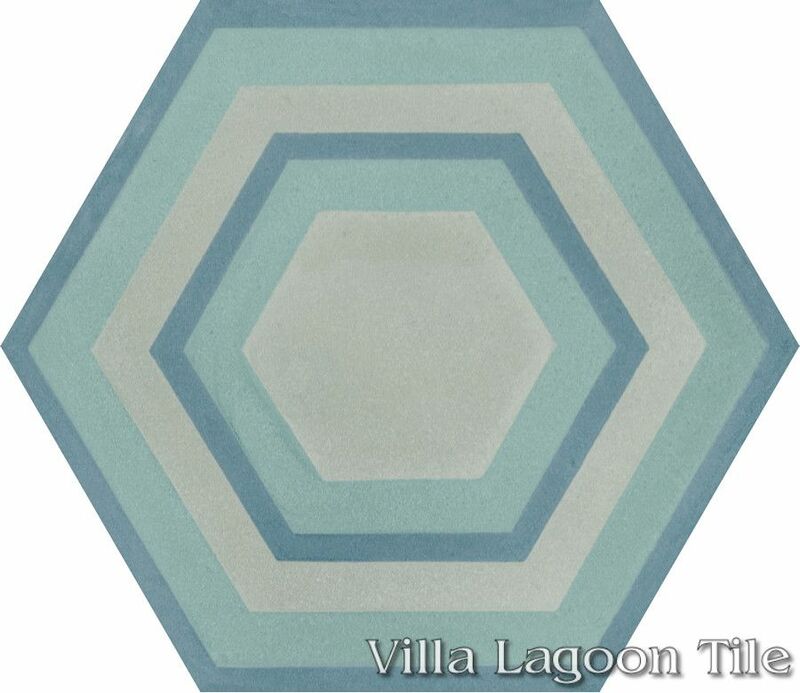 Villa Lagoon Tile's "Concentric Hex" pattern using Monte Verde, Velvet Sky, and Bimini from the South Beach Palette. 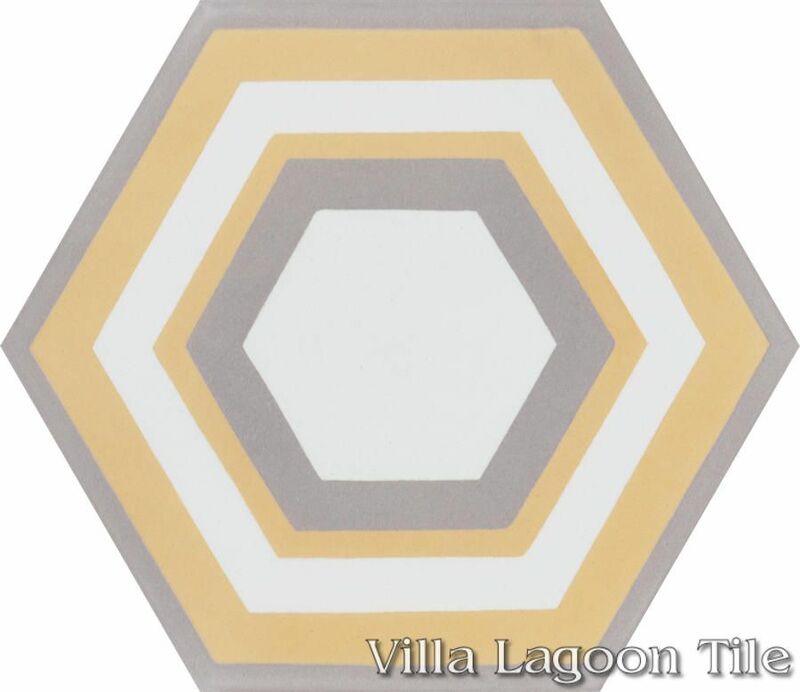 Villa Lagoon Tile's "Concentric Hex" pattern using Henna, Smoky Coral, and Straw from the South Beach Palette. Villa Lagoon Tile's "Concentric Hex" pattern using Smoked Pumpkin, Straw, and Maple Sugar from the South Beach Palette. Villa Lagoon Tile's "Concentric Hex" pattern using Dove, Washed Denim, and Arctic Gray from the South Beach Palette. 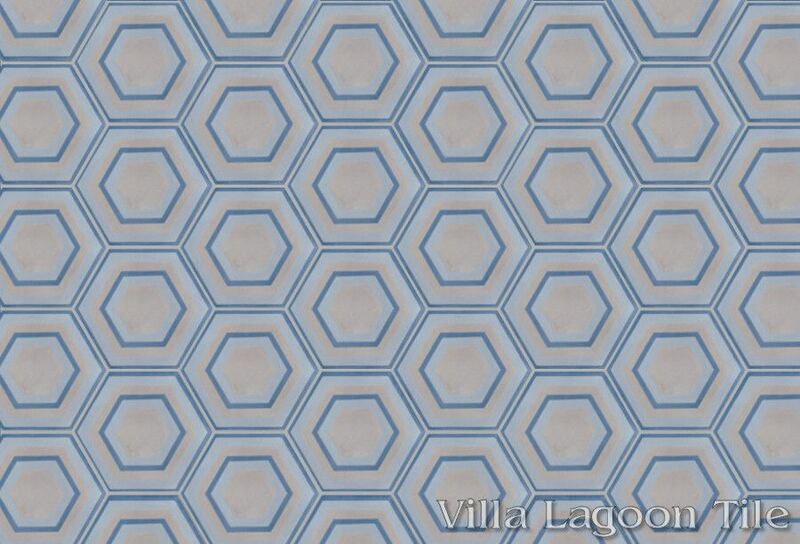 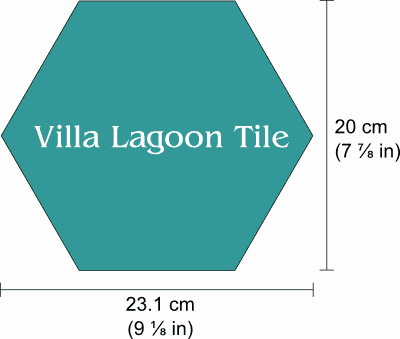 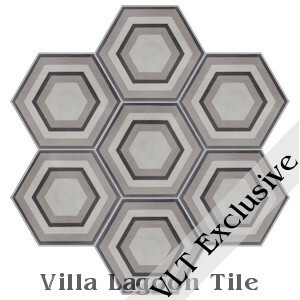 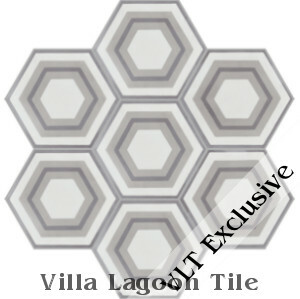 Villa Lagoon Tile's "Concentric Hex" pattern using White, Limestone, and Pebble from the South Beach Palette. 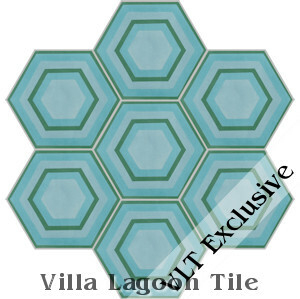 Villa Lagoon Tile's "Concentric Hex" pattern using Gray Green, Jade, and Dark Teal from the South Beach Palette. 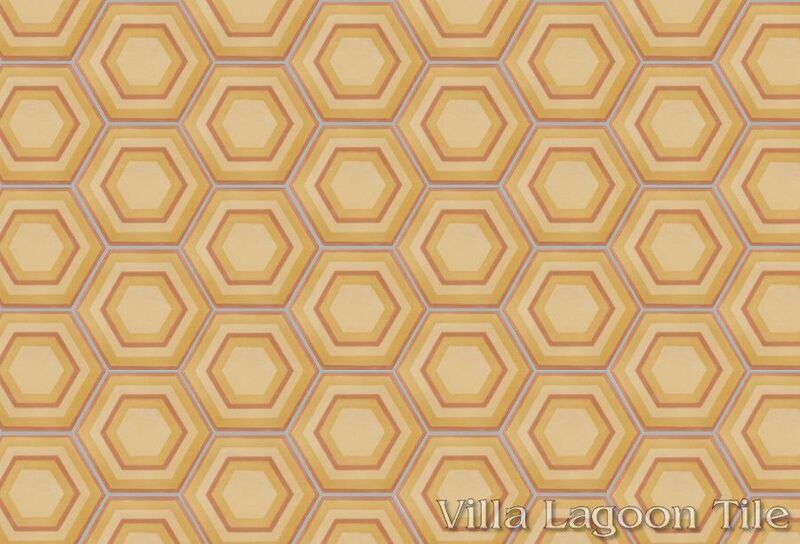 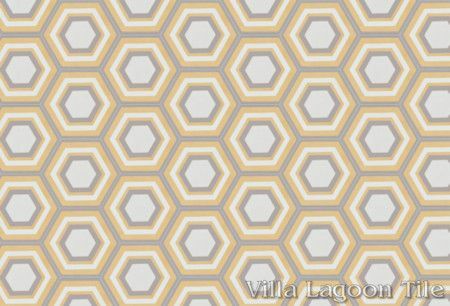 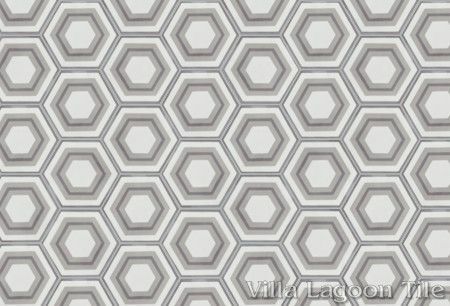 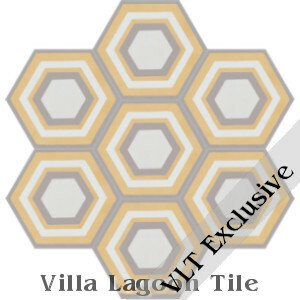 Villa Lagoon Tile's "Concentric Hex" pattern using White, Dove, and Straw from the South Beach Palette. 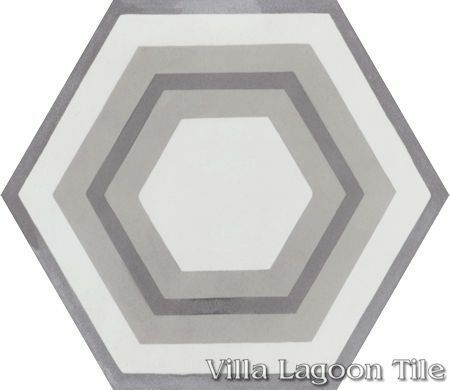 For images of previous in-stock colorways, visit Custom "Concentric Hex", from the South Beach Collection.